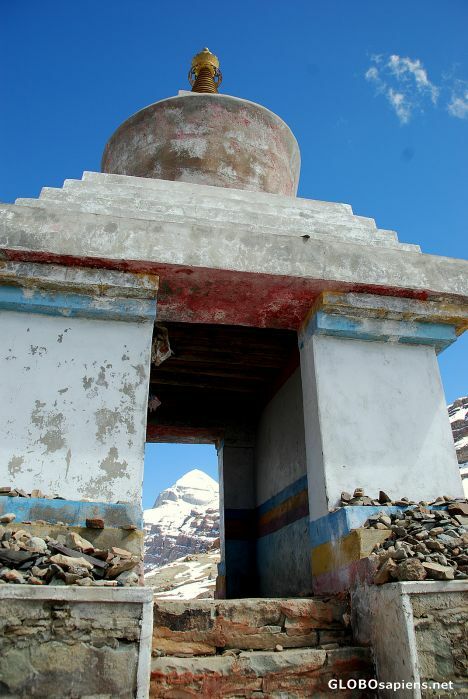 Mount Kailash seen through the Chorten. It is bad luck is you walk through it. Well framed! two good pics for the price of one! !.